This afternoon at the NCTIES 2016 conference I had the privilege to once again give my Best of the Web presentation to a packed room (conservative guess of 350 people). 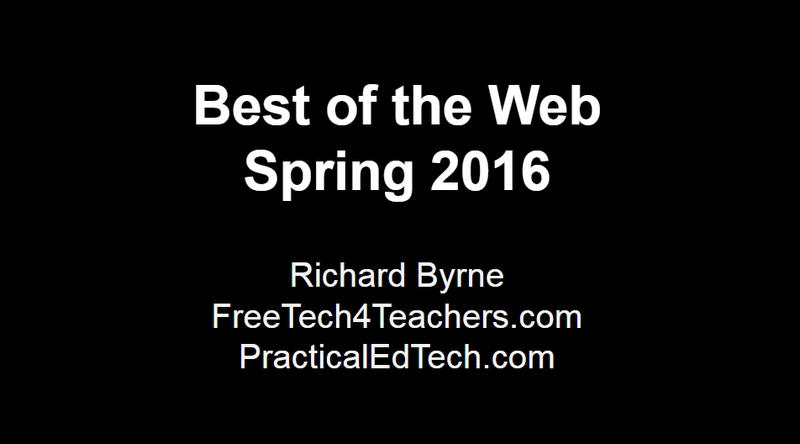 The presentation features short overviews of my favorite new and or updated ed tech resources of the last year. Almost all of today's presentation featured things that I haven't included in past Best of the Web presentations. The slides from the presentation are embedded below.